I hope you are well? Today I wanted to share more on my self drafted pattern journey and this time is for my Little L who is obsessed with Frozen's Elsa! Plus I'm testing out a brand new sewing thread from Korbond which claims to have '15% less breaking strength compared to other sewing threads'. Sounds perfect for me. 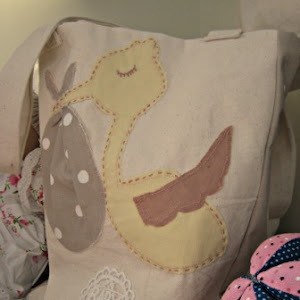 Sewing for children requires very durable fabrics and durable threads. 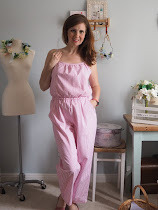 As part of the Craft Blog Club Spring challenge, I challenged myself with getting more confident with my self drafted pattern making especially on knitted fabrics. 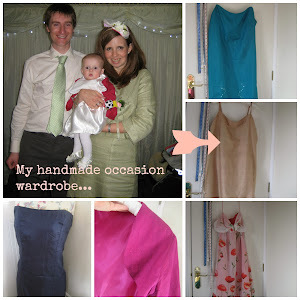 You can read more about my first dress here inspired by Chinelo from The Great British Sewing Bee. I bought this sparkly stretch mermaid inspired fabric last Autumn at the Sew Brum meet from Barry's fabric store. I'd already tested out the stretch stitch on a Christmas dress for Little L so I knew that the neckline wouldn't sag or the armholes wouldn't look all wobbly! For this dress, I decided to self draft the bodice, making reference to You Tube video's of Elsa plus my gorgeous daughters input! Yes, I do have a budding fashion designer here. I was told that I had to put a point on the bodice and a big skirt. (She's 4 but knows her mind!) I used a sparkly light blue voile and lined it with pale blue lining fabric to get a princess floating shimmer. Little L wanted it for a party, so it needed to be more fitted than a dressing up dress and soft play party proof too. For the bodice, I took one of her favourite knit dresses and copied the pattern onto pattern paper. I did this by laying the dress onto the bodice and with a pencil and pins, transfered the neckline and the arms. Then I allowed 1.5cm or 1/2 inch for turnings. It can be fiddly but you know it will fit! This took about 30 minutes to do. If you want to find out more about how I did this, I can write a separate tutorial, just leave me a comment. For the skirt, I cut a circular skirt by measuring her waist and length and then creating a paper pattern. I created a skirt pattern for use on the fabric bias by halving Little L's waist measurements and adding this as a scooped circle on a square of pattern paper. I then measured down each side of the square her length. This gave me half a skirt pattern to cut on a fold. You can read more about circular skirts maths on By Hand London's blog . I stitched the bodice to the double layer of lining and toile and created the Elsa point, then cut away the skirt excess inside. I then stitched it three times with using the Korbond professional sewing thread using a fancy scoop stitch to make sure it was really, really child proof! At the hem and on the puff sleeves I wanted to make the toile stick out so it looked like ice (Frozen right?) so I stitched it with the same white thread about three times, over and over with the same fancy scooped stitch. I love it! And here is the back view and the detail of the puffed Princess sleeves we added. I have to say sewing with my daughter's instruction is really rewarding. We finished off the dress with an iron-on Elsa transfer which you can buy similar here . Little L has worn the dress three times now and I've washed it twice. In making the dress, the thread never broke. I usually snap my thread in my machine as least once. To get science-y, I looked at the twist per cm (which determines how strong a thread is) of the Korbond thread and the others in the sewing box. This thread was twisted the most out of all the sewing threads I own, so it was the strongest thread in my sewing box! It was smooth through my sewing machine and easy to thread through the needle. I will be using it again. I thought a child's party dress was a good starting point. I want to thank Korbond for letting me try out their new sewing thread. 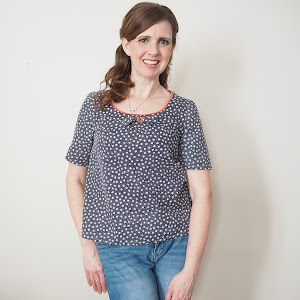 Have a great sewing weekend. I will be searching for a pattern for a Wedding in June. That's another post.